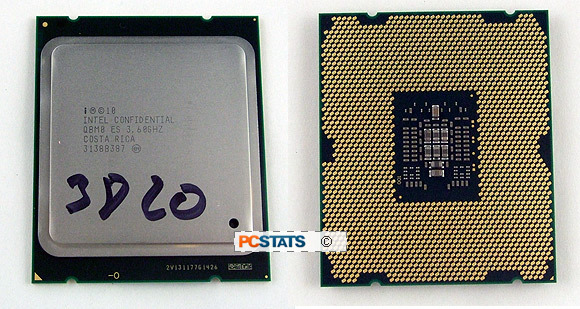 PCSTATS has worked to keep its test hardware static so a greater number of comparisons can be made between different chipsets, motherboards and so forth. The Intel X79 and 'Sandy Bridge-E' platform demands a few critical changes, so moving forward we'll be retiring Microsoft Windows 7 32-bit in favour of Microsoft Windows 7 64-bit; for the most part, 32-bit benchmarks will see marginal change. PCSTATS has relied on Crucial memory for years, but to test this Intel X79 platform we needed 16GB's worth DDR3-1600 9-9-9-24 memory which Crucial doesn't readily offer. In place of Crucial RAM PCSTATS installed these four DDR3 modules which are wrapped in protective aluminum heatspreaders. What's really shocking is that the price of 16GB of DDR is less than $125!! Compared to just a few years ago, it's amazing just how CHEAP system memory has become. The black tape over the manufacturer's name might means this is MARSHALL, or maybe FENDER memory. ;) Rock and Roll! 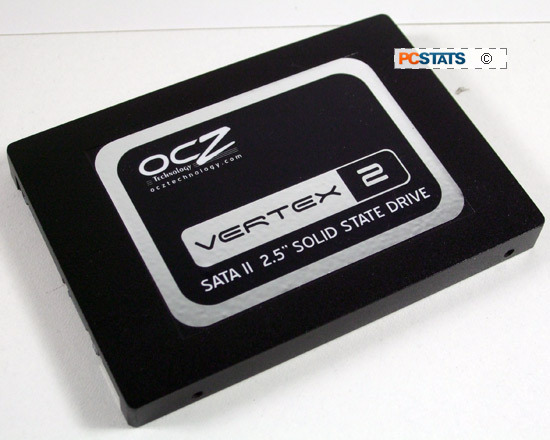 Storage devices have changed dramatically in recent years, you'll notice PCSTATS to retired the faithful old Western Digital Raptor's for a quick 120GB OCZ Vertex 2 SSD (SATAII). The effect on system-wide benchmarks compared to a mechanical hard drive is dramatic. PCSTATS would like to thank Intel, OCZ Technology, Gigabyte and CanadaComputers for help outfitting this test platform. 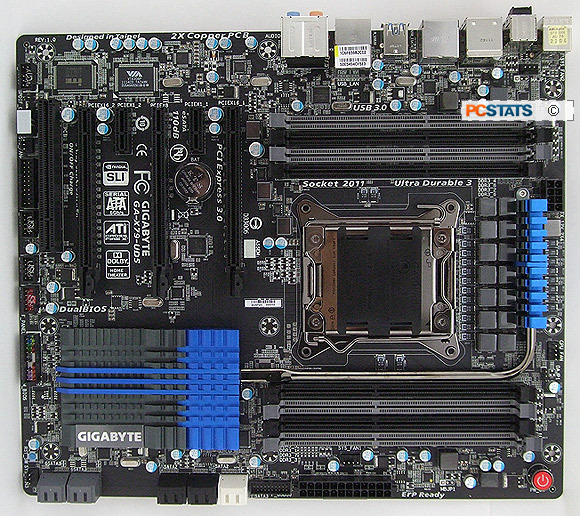 Details on how the Gigabyte GA-X79-UD5 motherboard was configured for benchmarking - including specific hardware, software drivers, operating system and benchmark versions - is listed in the Test System Spec chart below. Please take a moment to look over PCSTATS test system configurations before moving on to the individual benchmark results.